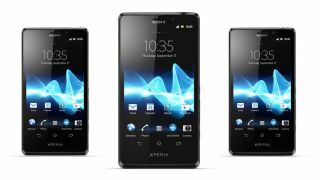 With the announcement of the Xperia T, Xperia V and Xperia J at IFA 2012 in Berlin, Sony has added even more handsets to its already packed line up for 2012. We witnessed HTC go down the handset overkill route last year, which it later admitted wasn't the best plan and dialled down the number of phones it offered this year, but Sony doesn't share the Taiwanese firm's concerns. Sony's Head of Xperia Marketing Calum MacDougall told TechRadar: "The mobile industry is very competitive and you are seeing a lot of new products coming all the time, and this is going to be an extremely competitive end of the year. "You've got iPhone 5 coming, there's going to be other pieces from all our competitors, so the reality is to be competitive, you need to refresh pretty often to bring new and innovative products into the market." Talking about Sony's now wide range of handsets, MacDougall said: "It does give us some advantage, because we can offer different types of products to different types of markets and consumers." However it looks like the latest smartphones will be Sony's final offerings of 2012, with MacDougall confirming that the new range will be the firm's flagship mobile devices for the rest of the year.